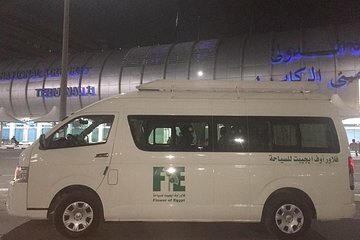 Make your journey from Cairo International Airport to your hotel, or vice versa, a comfortable one when you book your transfer in advance. With prompt pickup at the time of your choosing, there’s no need to wait around in the airport or stress over catching your departing flight. Free onboard Wi-Fi allows you to keep loved ones updated or simply browse the internet.